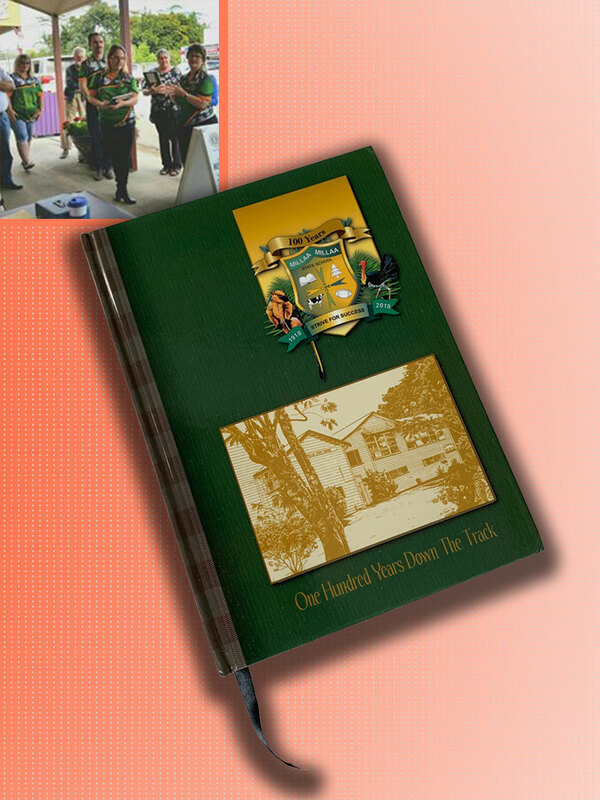 Printciple Source had the pleasure of helping the School Centenary Committee produce a Hardcover History book to be sold on the weekend of the Centenary celebrations. The book was a labour of love for Jessinda Jones working with members of the committee searching archives, it took 2 years to build and print the book. Jessinda used our DIY Programme and with our 24/7 help and suggestions was able to build a beautiful book. “Everyone appreciated the quality and the content and we had many people purchase 4 or more books for family and friends. As a result, we sold out of our 350 (+ your extra 11) before lunch on Saturday.